A memorial teardrop pendant is a beautifully symbolic piece of jewelry that can become a treasured keepsake of a loved one who has passed away. From the classic rose teardrop to more modern designs, there is a teardrop option to commemorate each of your loved ones. The original Memorial Tear - a stylized teardrop with a blooming rose etched within it - was designed by Kathy Bernu during a time in her life when she found herself grieving and without a symbol of her loved ones to cherish. After sketching many tears, she created the integral design with the rose based on the Bible passage Corinthians 13:8, 13 and the idea that love never dies but instead continues into eternity. Engraved in precious gold or silver, the Memorial Tear represents that love in an everlasting way linked with the romance and love of a rose that will never wilt. The classic Memorial Tear is one of the most popular remembrance pendants, but there are many similar designs to choose from if this popular motif is not the best style for your memories. Urns: A tear-shaped locket or urn is a lovely way to keep a lock of hair, pinch of ashes, or small picture of your loved one close to your heart. Memorial Symbols: While a rose is a popular symbol to include on a memorial pendant, equally suitable symbols are angels, doves, hearts, and crosses. Gemstones: A single diamond can represent the eternal soul of the departed, or a birthstone may be used as an accent to the teardrop to give it a personal connection to that someone special. 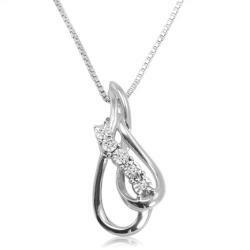 Infinity Designs: A teardrop paved with diamonds or gemstones can represent not only the earthly journey of life, but also the eternal circle that each life is a part of. Crystal Tears: Instead of a metal teardrop accented with an engraving or a gemstone, the entire pendant may be a crystal or gem fashioned into a tear shape. Tumbled rocks such as quartz and turquoise are also used, as are tear-shaped pearls. While tear pendants are the most popular type of memorial jewelry because they can be worn near the heart, many similar designs are also available as earrings, pins, rings, and bracelet charms. When choosing a piece of jewelry to commemorate a loved one, it is important to choose not only a design that represents them and their relationship with you, but also to choose a type of jewelry that you will wear frequently in their honor. The cost of a memorial teardrop pendant can range from $15 to $500 or higher depending on the size of the piece, the materials it is made from, and the quality of its construction. Many types of memorial jewelry also come with display cases so they can be kept looking their best even if they are not being worn. 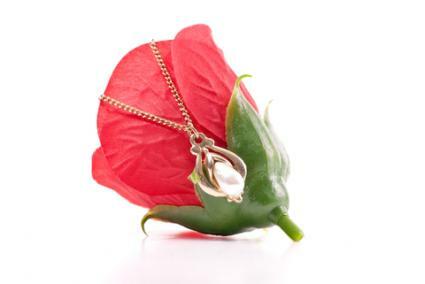 A memorial teardrop pendant can be an elegant, symbolic piece of jewelry to commemorate a loved one. Regardless of the design, cost, or type of jewelry, if it is worn with genuine love and remembrance of someone special, it will be a fitting tribute to their memory. For help with grieving and related issues, visit LoveToKnow Death and Dying.